Despite producing a fine display in Saturday’s derby against Barcelona, Atletico Madrid eventually played out a 1-1 draw with the Catalan giants. Los Rojiblancos sit in fourth place in La Liga standings and they are six points behind the league leaders ahead of Matchday 9. 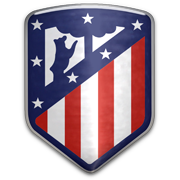 Diego Simeone’s men aim to return to winning ways in the national championship and they are likely to adopt an attack-minded approach in Sunday’s football game against Celta Vigo. Os Celeste are tough to beat at home and they aim to extend their unbeaten run at Estadio de Balaidos to four games. Atletico Madrid need to pick up all three points from the match if they are to keep their hopes of regaining the domestic trophy alive and that is the main reason why we are tempted to put our money on los Rojiblancos, who are undefeated on the road this season. Hugo Mallo is a Spanish footballer who plays for Celta Vigo as a full back. Mallo, who is a capable of playing at centre back if needed, was born in Marin on 22 June, 1991 and he has been playing for Os Celeste since 2009. During his youth career Hugo Mallo played for the likes of Porvir and Pontevedra, but he made the biggest progress at Celta Vigo. The Celta defender has three caps for Spain U21 team and he played for the U19 and the U20 teams as well in the past. On 9 January, 2013, Mallo suffered a serious knee injury and, as a result, he was forced to miss the rest of the season. The right-footed player has a contract with Celta Vigo which expires on 30 June, 2019. You should bear in mind that he scored one goal in 34 appearances for the Galician outfit in the 2015/2016 Primera Division campaign. In the 2014/2015 campaign he scored four goals for Celta in the national championship.